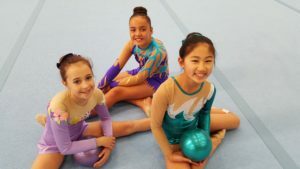 Our club was founded in 2007 and is the only Rhythmic Gymnastics club currently in East Auckland. We provide classes for gymnasts from 5 years and over in Recreation, Precompetitive and Competition Classes. 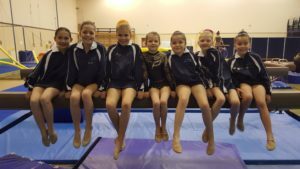 Our gymnasts compete in Auckland, Regional and Nation Wide Competitions in a variety of apparatus. Rhythmic Gymnastics is a sport that promotes creativity, and builds confidence through a mixture of dance and gymnastics elements. As a club we hope to provide a caring environment for your child in order for them to grow as a gymnast to reach their full potential. We hope to coach the girls into striving to show harmony between themselves, the apparatus and the music with required difficulties necessary to achieve a well rounded routine.